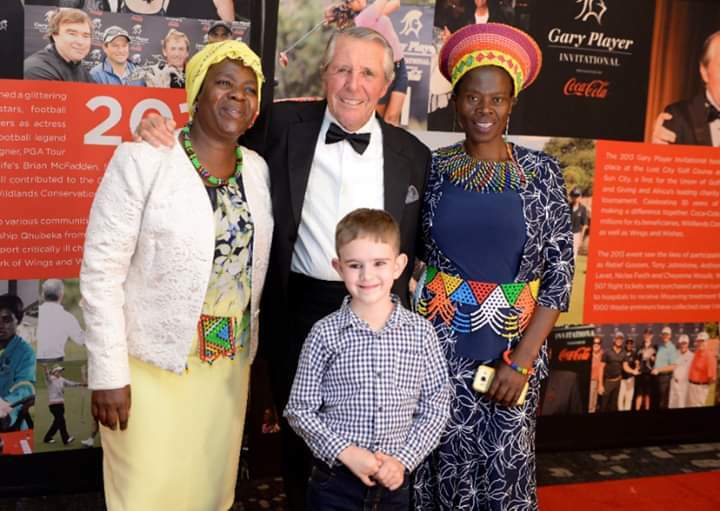 Wings & Wishes was once again honoured to be a beneficiary of the Gary Player Invitational during November 2018. One of our beneficieries, Kayden Seabro, joined us at the gala event. Kayden suffered from retinoblastoma and lost his one eye to cancer. He thanked everyone for saving his eye sight by sponsoring 26 flights for him and his mom to receive treatment in Cape Town. The Gary Player Invitational is our major donor – ensuring that we were able to sponsor 2 252 travel opportunities in 2018.